By clicking the continue button above, I certify I have read the CME/MOC statements below. Hypercholesterolemia, particularly low-density lipoprotein cholesterol (LDL-C) elevation, is a major driver of atherosclerotic cardiovascular disease (ASCVD). Lipid-lowering therapies (mainly in combination with statins) are the primary treatment approach to lower LDL-C and reduce CVD risk. However, intensive statin therapy lowers CVD risk only by ~50%, leaving many patients at excessively high residual CVD risk. Ezetimibe, which reduces absorption of cholesterol from the intestine, reduces LDL-C levels by an additional 20%-25% and modestly improves clinical outcomes when added to statin therapy. Recently approved PCSK9 inhibitors also produce robust LDL-C reduction when co-administered with statins and have been shown to improve clinical outcomes in patients with ASCVD. Improving Outcomes for Patients with Severe Hypercholesterolemia will explore all of these treatment options and their safety/efficacy profiles, while also providing participants with insights on practical applications in clinical practice to improve the outcomes of their patients with severe or difficult-to-treat hypercholesterolemia. This educational initiative is intended for clinical cardiologists, internists, and other healthcare professionals tasked with refining and updating clinical decision-making practices and establishing partnerships with ASCVD patients to improve clinical outcomes. This program is designed to address ACGME and IOM competencies, including delivering patient-centered care, medical knowledge and practicing evidence-based medicine. This activity has been planned and implemented in accordance with the accreditation requirements and policies of the Accreditation Council for Continuing Medical Education (ACCME) through the joint providership of USF Health and Rockpointe. USF Health is accredited by the ACCME to provide continuing medical education for physicians. USF Health designates this enduring activity for a maximum of 1.0 AMA PRA Category 1 Credit™. Physicians should claim only the credit commensurate with the extent of their participation in the activity. MOC Points available for Internal Medicine General, Cardiovascular Disease, Clinical Cardiac Electrophysiology, and Interventional Cardiology Board Certified Physicians. For information about accreditation of this activity, please email: cpdsupport@health.usf.edu. Alan Brown, MD, FACC, FAHA, FNLA, FASPC has been the Director of the Prevention Center/Lipid Clinic for Midwest Heart Specialists since its inception in 1985. He is a practicing interventional cardiologist and preventive cardiologist. He was appointed Clinical Associate Professor of Medicine and Cardiology at Loyola from 1993 until the present. Dr. Brown is board-certified in internal medicine, cardiology, echocardiography, and clinical lipidology. 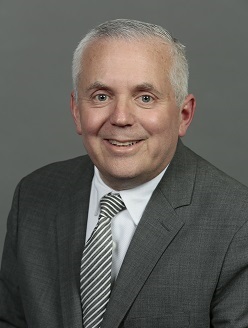 He is the Director of the Division of Cardiology at the Advocate Heart Institute at Advocate Lutheran General Hospital in Park Ridge, IL, as well as Co-director of the Cardiology Service Line for Advocate Medical Group/Advocate Health Care. Dr. Brown has served as Governor/President of the Illinois Chapter of the American College of Cardiology (ACC) and subsequently was elected Chairman of the Board of Governors for the ACC in 2004. He is a Fellow of the American Heart Association, National Lipid Association, and ACC and has been a member of the ACC's Prevention of Cardiovascular Disease Committee and Annual Scientific Program Committee and serves on the current ACC Task Force for Appropriate Use Criteria. Dr. Brown served as a member of the ACC Board of Trustees from 2003 through 2006. He is currently President of the National Lipid Association and a member of the Board of Directors for the American Society for Preventive Cardiology. Dr. Brown has authored numerous articles in the fields of lipid management and prevention, as well as two book chapters. He is the host of “Lipid Luminations,” an internet radio show on Reach MD radio that focuses on lipid topics through interviews with national thought-leaders. James A. Underberg, MD, MS, FNLA is a clinical lipidologist and Clinical Assistant Professor of Medicine at NYU School of Medicine and the NYU Center for Prevention of Cardiovascular Disease. He is also the Director of the Bellevue Hospital Lipid Clinic. Dr. Underberg is a Diplomate of the American Board of Clinical Lipidology, a Fellow of the National Lipid Association, and a Past President of the National Lipid Association. 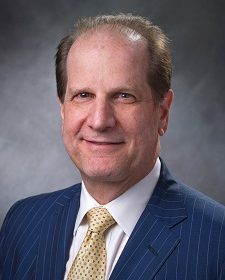 He is a board member of the National Lipid Association and the Foundation of the National Lipid Association and serves as President-Elect of the American Board of Clinical Lipidology. Dr. Underberg’s clinical interests focus on the management of patients with lipids and lipoprotein disorders, hypertension management, and cardiovascular disease prevention. He maintains an active clinical research program in these areas and has authored numerous articles and book chapters in the field of clinical lipidology. He sees patients both at Bellevue Hospital and in a university-based private-practice setting. USF Health endorses the standards of the ACCME that require everyone in a position to control the content of an accredited educational activity to disclose all financial relationships with commercial interests that are related to the content of the educational activity. All accredited activities must be balanced, independent of commercial bias, and promote improvements or quality in healthcare. All recommendations involving clinical medicine must be based on evidence accepted within the medical profession. A conflict of interest is created when individuals in a position to control the content of an accredited educational activity have a relevant financial relationship with a commercial interest which therefore may bias his/her opinion and teaching. This may include receiving a salary, royalty, intellectual property rights, consulting fee, honoraria, stocks, or other financial benefits. USF Health will identify, review, and resolve all conflicts of interest that speakers, authors, or planners disclose prior to an educational activity being delivered to learners. Disclosure of a relationship is not intended to suggest or condone bias in any presentation, but is made to provide participants with information that might be of potential importance to their evaluation of a presentation. USF Health does not endorse any products or services. There is no fee for this activity. To receive credit, participants must take the pre-test, view this CME activity in its entirety, and then complete the post-test, with a score of 60% or better, and evaluation. The estimated time for completion of this activity is 1 hour. To receive their certificates, participants must demonstrate mastery of the presented material via the post-test. Participant is allowed to take the post-test 2 times.